oh wow, what is this? @huvesaker . Det er en over fire meter høy skulptur som ser ut som et slags maritimt forskningsfartøy med trompeter på taket. I don't know what it is, but it sure is colorful and interesting! Nice capture of the details. Goodness me, whatever is it? @elisasaeter den är väldigt kul! Tänk att ha den i trädgården! @cindymc . It is an over four meter high sculpture that looks like a kind of maritime research vessel with trumpets on the roof. @busylady . 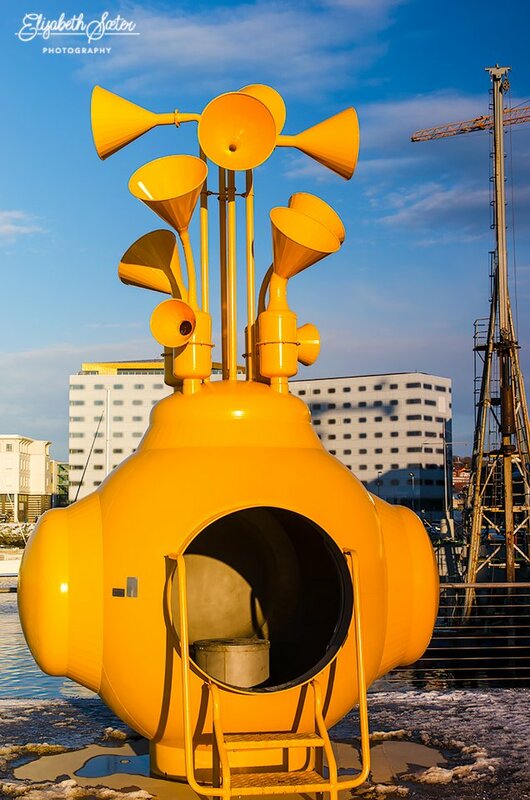 It is an over four meter high sculpture that looks like a kind of maritime research vessel with trumpets on the roof.